Centrally located in Greensboro, Alabama, Colonial Haven Care & Rehabilitation Center provides exceptional personal skilled nursing care 24 hours a day, rehabilitation services, as well as short-term and long-term care. Our compassionate staff offers individualized care plans for each resident to ensure personalized care is provided to all our patients with a goal to return home. We understand that the transition to a skilled nursing home after surgery, injury or serious illness can be challenging. 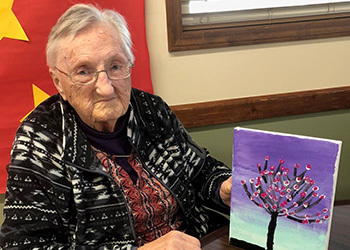 At Colonial Haven, we strive to ease the process by providing an environment where residents and guests are informed about their course of care and feel comfortable that they are in good hands. We understand the importance of creating a comfortable and nurturing atmosphere, whether residents stay for short-term treatment or long-term care. Schedule a tour and learn more about our unique, sophisticated healthcare environment.